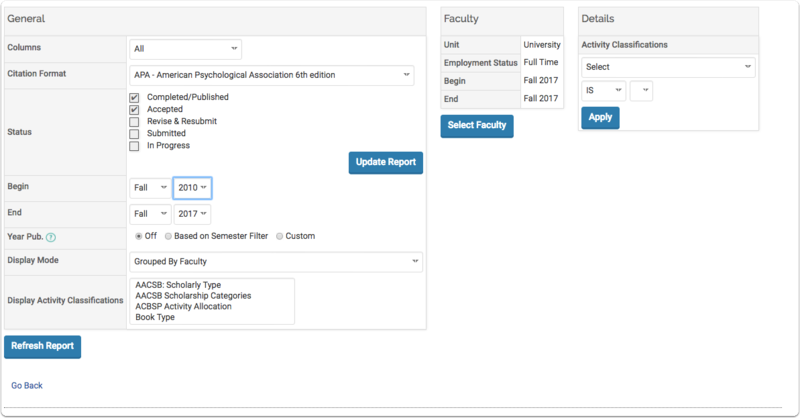 Select which columns of information to display from the available list of scholarly contribution types. 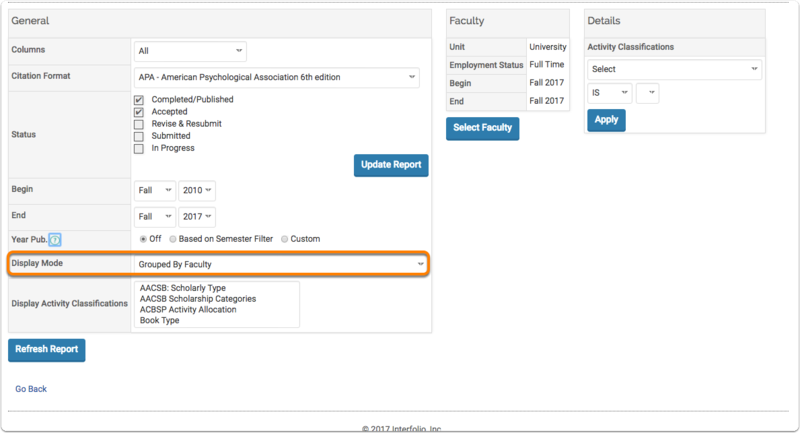 Check/Uncheck the relevant statuses that you are interested in seeing in this report. 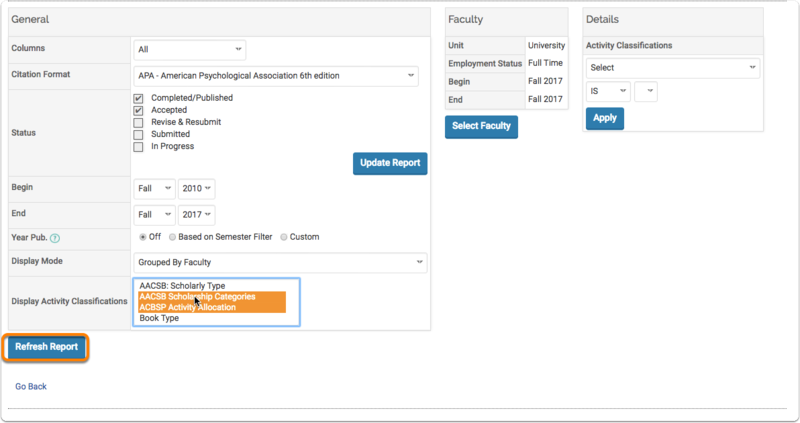 Choose a relevant date range for the information to display. There are three options to filter by Year Published. 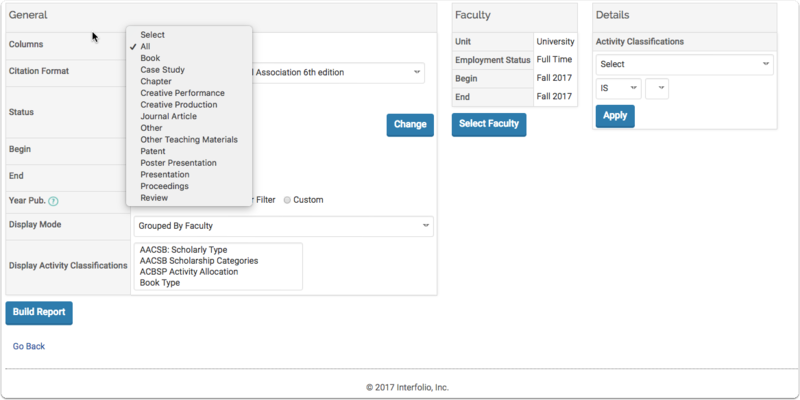 Select an option from the displayed list. 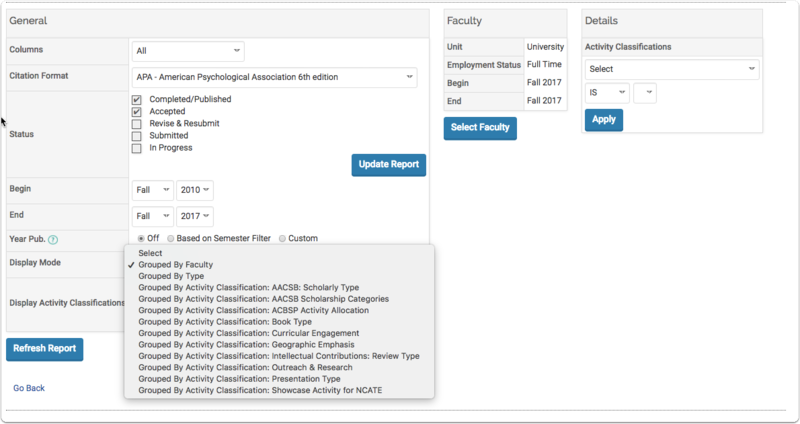 There are many options to filter the scholarly citattons report, based on a number of fields, such as the Faculty, Type, and Activity Classifications. 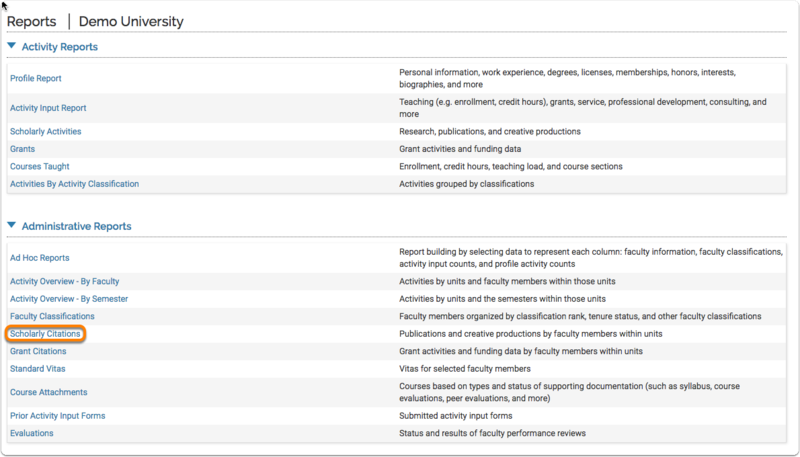 Select which activity classifications to display. 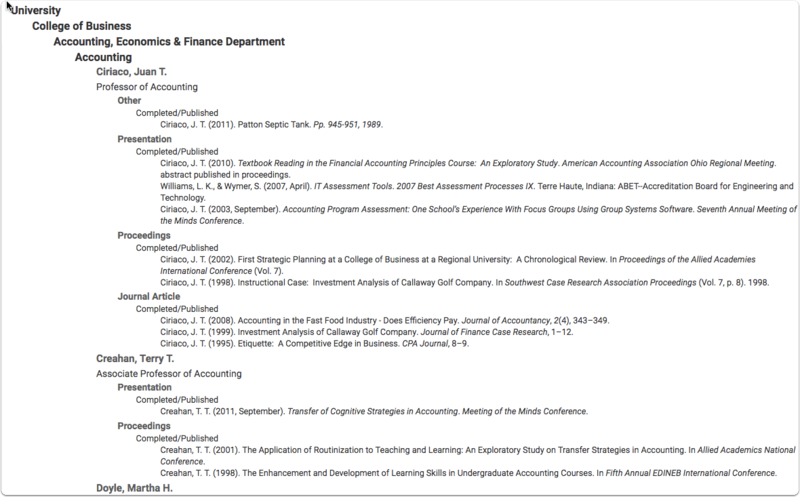 The report lists all of the scholarly citations based on the relevant fields and shows the citation information in the selected formats. 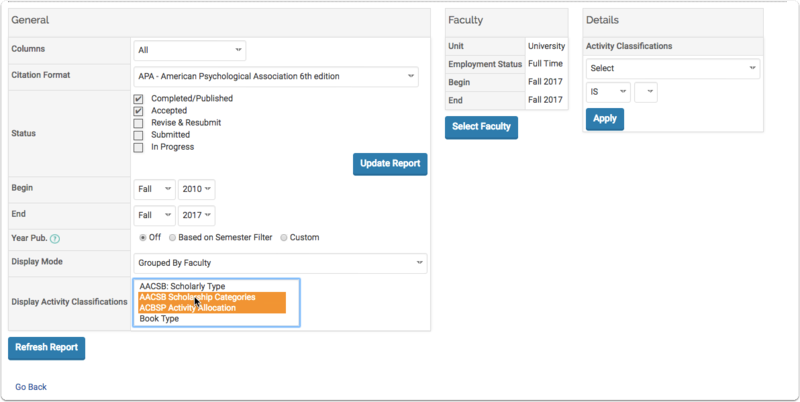 Users can modify and export the report at the top of the screen.